The Israeli election is around the corner, which means that it’s time for… MARCH MADNESS 2015! From the people who brought you March Madness 2006, February Madness 2009, and January Madness 2013, we announce our fourth Knesset prediction pool! Go to the Knesset March Madness link and put in your predictions for how many seats each of the 26 parties will win. (We’re using the English names of the parties from the official Knesset website, even though some of them are ridiculous translations and transliterations.) All predictions must be non-negative integers (0 is allowed), and your predictions must add up to 120. (For reasons discussed below, it is impossible for a party to win 1 or 2 seats, and unlikely that a party will win 3 seats. However, if you choose to hedge your bets and guess that a given party will win 1, 2, or 3 seats, that is a legal entry in the contest.) Entrance is free, but there is a suggested donation of $10 to the organization of your choice dedicated to making Israel the best it can be. (If you win, feel free to share which organization you chose and why.) Israeli citizens are encouraged to vote in the actual election as well. In addition, the winner will be invited to make a statement to the world. For example, suppose The Pirates win 1% of the vote, Rent with Honor wins 33%, and The (Temporary) National Team wins 66%. Then The Pirates win no seats in the Knesset (since they were below the 3.25% threshold), and the other parties will proportionally split the 120 Knesset seats: Rent with Honor gets 40 seats (so the top 40 candidates on its list are elected), and The (Temporary) National Team gets 80 seats. If vacancies arise later in the term, there are no special elections – the next candidate on the party’s list (e.g. #41 on the Rent with Honor list) enters the Knesset. It is mathematically possible for all 26 parties to win seats in the Knesset; best of luck to you if you pick this outcome in the pool. [highlight]The deadline to enter is Monday, March 16, 2015, at 11:59 pm Israel Standard Time (5:59 pm EDT)[/highlight]. When the final election results are published, each entry will receive a score based on how many Knesset seats were predicted correctly. For example, suppose the results are as in the above example (The (Temporary) National Team 80, Rent with Honor 40). I predicted 60 seats for Rent with Honor, 50 for The (Temporary) National Team, and 10 for Perach. Then my score is 90, since I correctly predicted 40 seats for Rent with Honor and 50 seats for The (Temporary) National Team. The entry with the highest score wins! 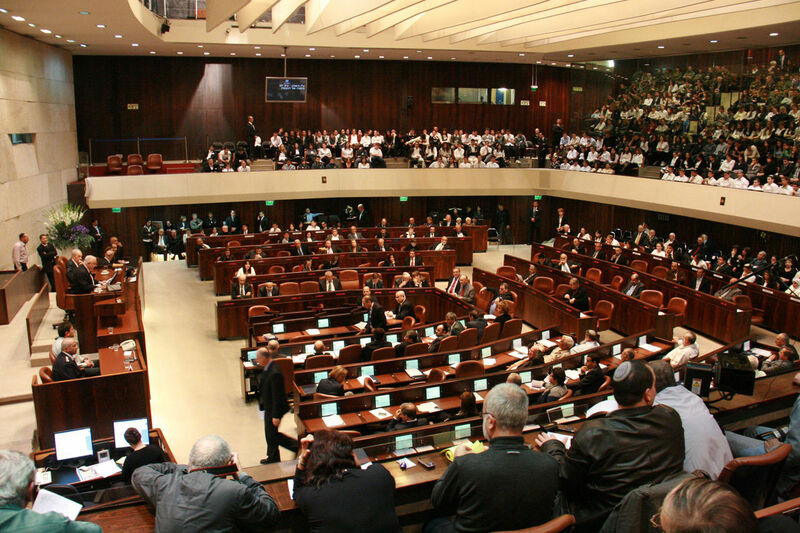 Of the parties that do NOT win seats in the Knesset, which will come closest? Which party will get the FEWEST votes?